Every project maintains the same philosophy: Level of quality which is unsurpassed, value through every aspect of the job, and client services that provide the client with attention and ease of mind. Building real homes for real people allows this master builder to dovetail the best of yesteryear with the functionality of today's modern amenities. Years of Specialized Expertise in Custom House Framing, We are a Professionally Licensed & Registered Construction Corporation serving Toronto and the GTA. $2,000,000 Liability Insured, WSIB Insured, Full Building Code Compliance. New Projects Home Renovation Home Addition We specialize in all. We deliver quality and consistency every time. We are dedicated to providing you the most competitive price in the GTA without compromising professionalism or quality of work. Service and Safety are critical to our success. Combining safety, quality, and efficiency has created consistent results for our clients, every time all the time. We enjoy a sustained client base due to unwavering commitment to premium framing practices. For a quick estimate, please send us a message or email and we will happy to assist you within 24 hours. Rockview Construction is a modern custom home building company founded on the traditional principles of quality, integrity, and value. Elviano’s comprehensive range of services extends beyond our specialty in residential construction to include design consultation and major renovations. Nickelson Homes Ltd. specialize in building custom designed homes to match your individuality and style. We take great pride in our craftsmanship and our ability to work closely with our clients. At National Homes, we start with you and your needs. Then we design homes to suit the way you do the things you do. We believe that a home should give you what you truly want. Enmar Homes specializes in classically designed, custom homes in North Toronto. Our goal is simple: making your custom-built dream home a reality. Structura by Franco is a family owned and operated Design and Build General Contracting Company based in Toronto. Our team brings a specialized set of skills to every project we take on. Established in 1990, Walden has assembled a dynamic team of the best design talent and most skilled craftsman. We manage all phases-- feasibility, design, approvals, bids and construction. Millwood Homes has created an extraordinary group of working professionals using over 65 years of combined residential building experience. Bay City Homes is a division of Baycrest Homes. Bay City Custom Homes has rapidly established a reputation for integrity, efficiency, and quality construction and project management services. 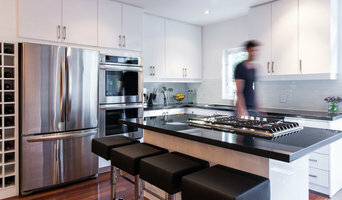 We have been a leader in residential renovations and custom home construction since 2005. From concept to completion, we make our clients' dreams a reality through a comprehensive process. Grandfield Homes is passionate in providing Home owners with a positive experience and with a living space that encourages balance, harmony and vitality. At Attainable Solutions Inc., our local and extensive expertise are uniquely poised to handle your entire venture from beginning to end, including planning and design right through to completion. Serving the Toronto & Kingston areas, Roald Smith Construction Inc. is your one-stop shop for perfecting your new or existing homes! With a passion for detail & traditional building expertise, our skilled craftsmen work collaboratively with clients, architects & designers so building your dream home is an enjoyable experience. Vicar Master Builders has been building our clients' dream homes for the past 30 years. We are general contractors that primarily build custom homes and additions in Toronto and the surrounding GTA. We recognize the importance in your life of building a home, and the need to ensure that the home is designed and the project is executed to meet that standard. What’s the most important step in building a new house from the ground up? Many people would say it’s choosing the right Scarborough home builder. Constructing a new house is a huge and multifaceted undertaking, so it’s important to find custom home builders in Scarborough, ON you can trust to bring your vision to life, as well as keep the process under control from start to finish. 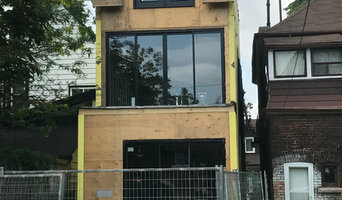 Although a construction job is never without surprises and challenges, a Scarborough, ON home builder who’s a good fit for your specific project will make these far easier to handle. For Scarborough residential home builders who also act as developers, the job starts well before the first nail is driven. They perform local market research to determine whether the prospective homesites make sense in the Scarborough, ON market, as well as survey the land on which the house will be built to make sure it is suitable for construction. Custom builders also obtain the necessary permits. A good custom home builder in Scarborough, ON has skills that go far beyond construction — he or she must supervise subcontractors and artisans; keep tabs on local zoning regulations, building codes and other legalities; inspect work for problems along the way; and perform dozens of other roles that are essential in building a quality house. Here are some related professionals and vendors to complement the work of home builders: Interior Designers & Decorators, Landscape Architects & Landscape Designers, Architects & Building Designers, Kitchen & Bath Designers, Specialty Contractors. House builders are responsible for ensuring that the home-building project sticks as closely as possible to the specified timetable, particularly in the event of change orders. Custom and luxury home builders in Scarborough, ON also need interpersonal skills to deal with clients of all types, soothe frazzled nerves, negotiate conflicts and resolve problems. Find custom home builders in Scarborough, ON on Houzz. Narrow your search in the Professionals section of the website to Scarborough, ON home builders. You can also look through Scarborough, ON photos to find a house you like, then contact the builder who worked on it.